Everyone starts their day with a Mickey waffle, but true Disnerds can eat a day's worth of meals with Instagrammable Mickeys. 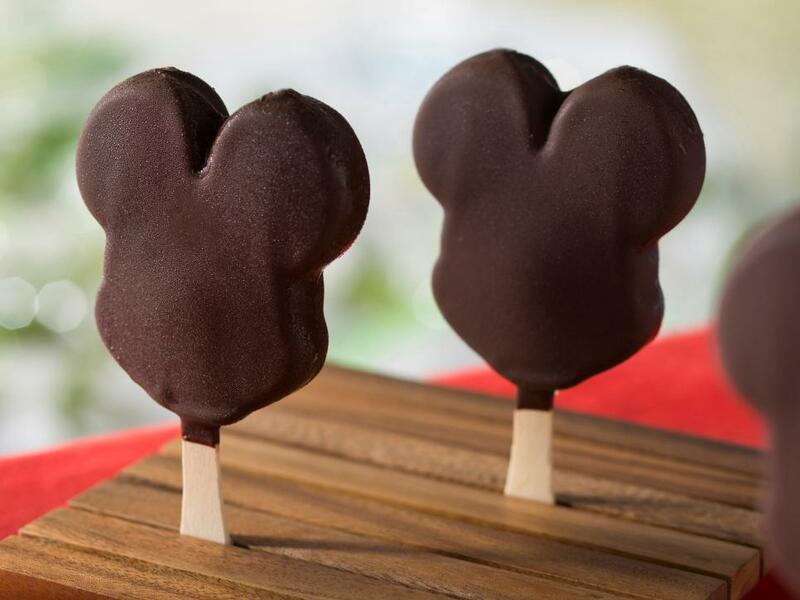 Here's where to find breakfast, lunch, dinner, dessert and snacks that are all shaped like the mouse himself. 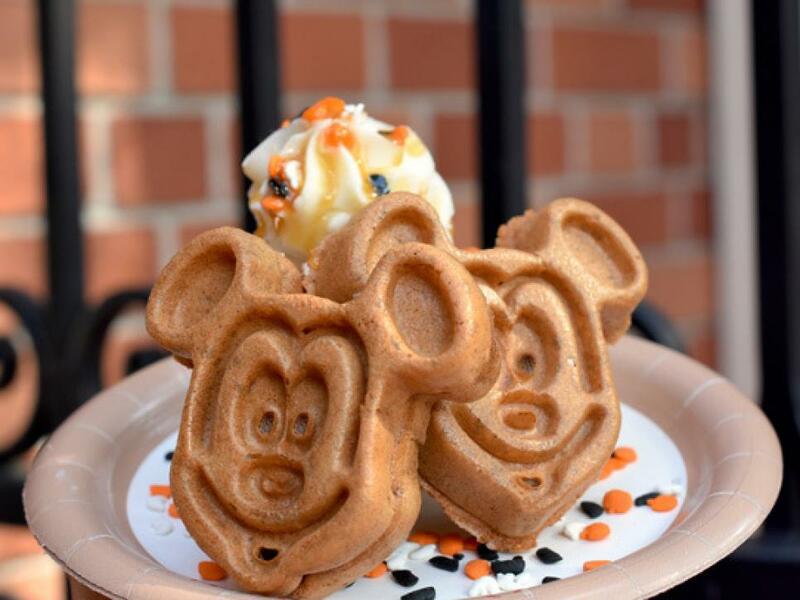 What would breakfast at Disney be without a Mickey waffle? 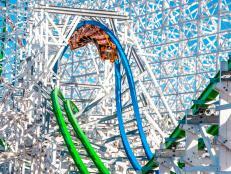 Fans of the iconic treat should head to the parks around the holidays when waffles get a seasonal makeover with pumpkin spice at Halloween and red velvet around Christmas. 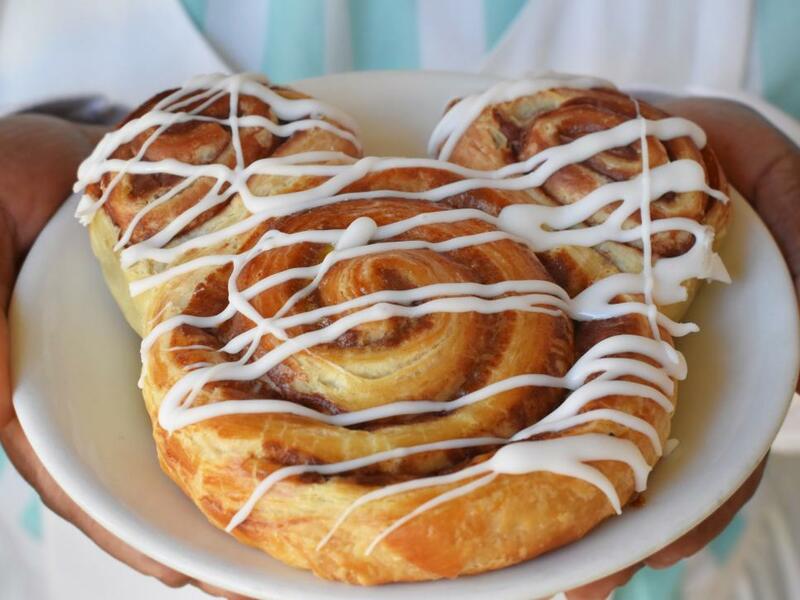 If your Disney crew loves to brunch, the Colossal Cinnamon Roll is for you. You can find this giant, Mickey-shaped cinnamon roll at Kusafiri Coffee Shop and Creature Comforts in Disney's Animal Kingdom. 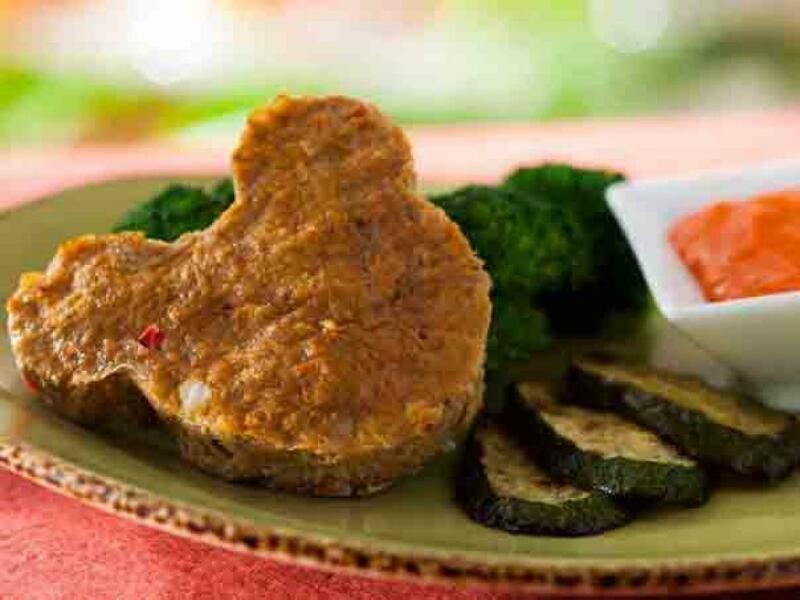 Fuel up for a long day in the parks with this protein-packed vegetarian dish. 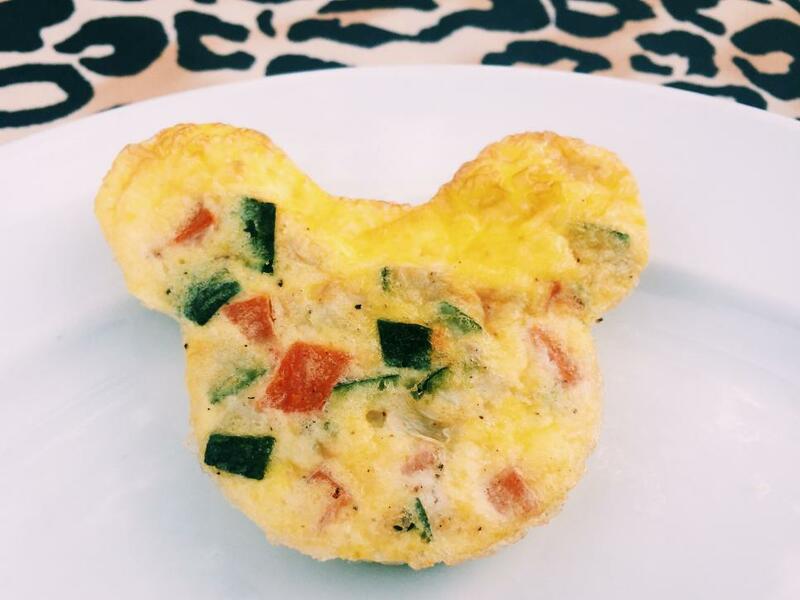 You can find these cute frittatas on special breakfast buffet menus from time to time. 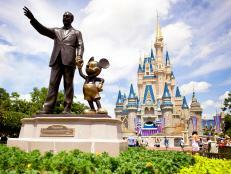 And if you're planning a Disney wedding, you can request them for brunch catering. 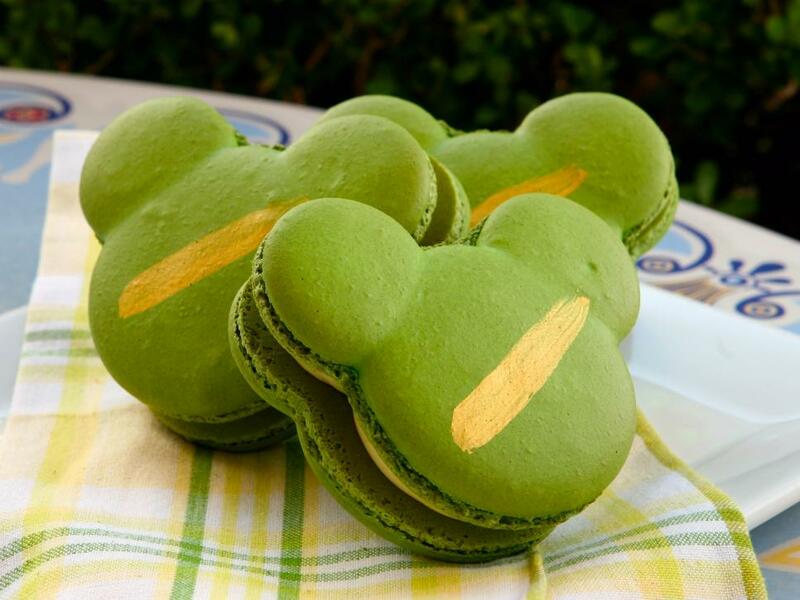 They also maintain a permanent residence on the menu at Carnation Cafe in Disneyland. 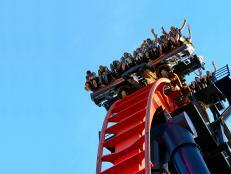 Need a mid-morning energy boost? 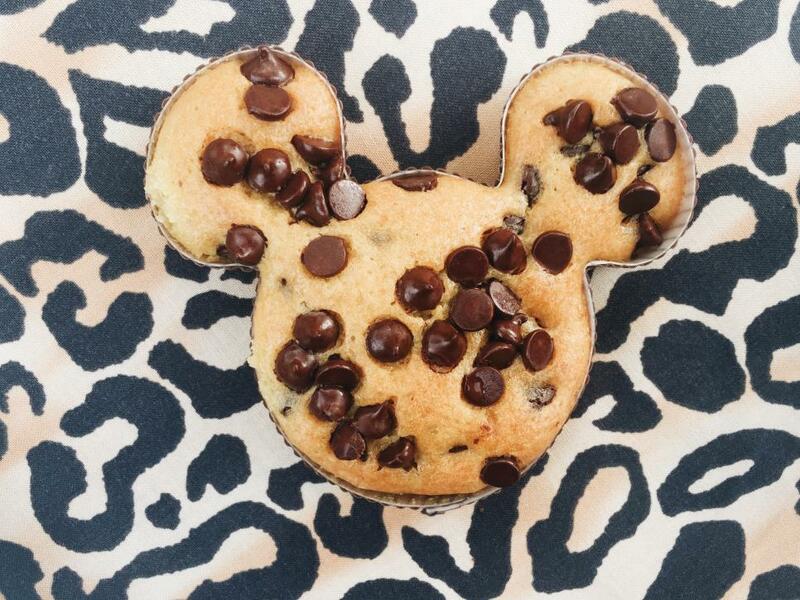 These chocolate chip muffins can be found at Boardwalk Bakery in the Epcot resort area. 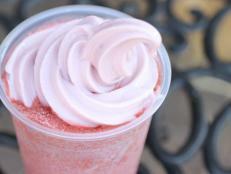 If you hit the sweets hard all morning, head to Epcot for lighter fare. 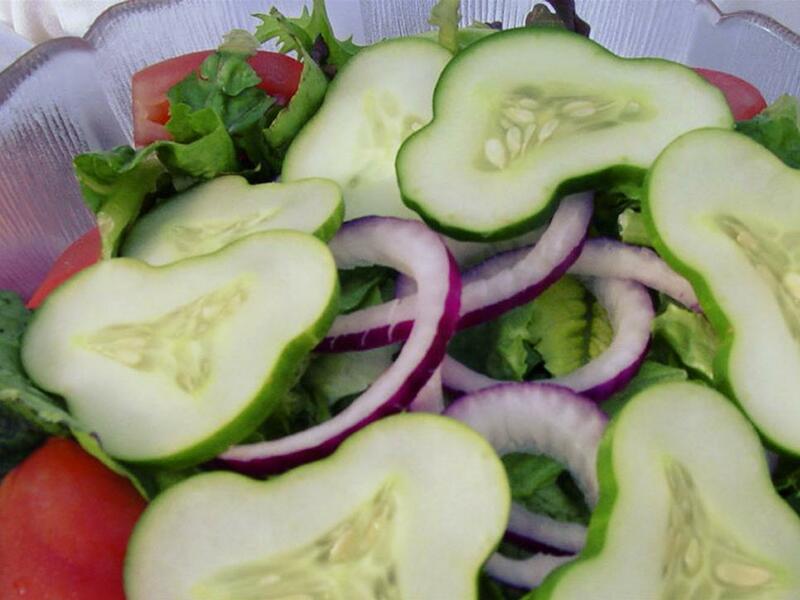 When cucumbers are in season, the Disney gardens at The Land provide the Garden Grille restaurant with fun Mickey-shaped cucumbers. 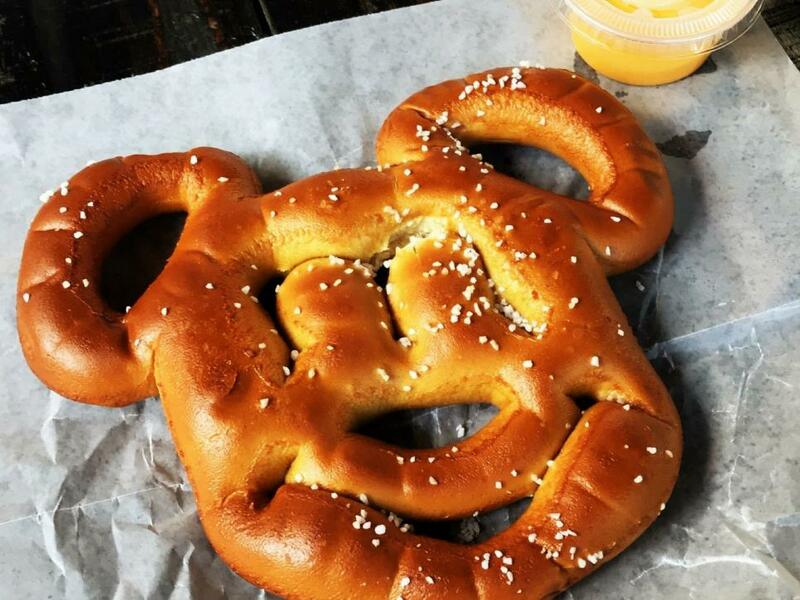 While most Mickey treats at Walt Disney World are sugary, you can get a savory pretzel with warm, cheesy dipping sauce at many kiosks throughout the parks. 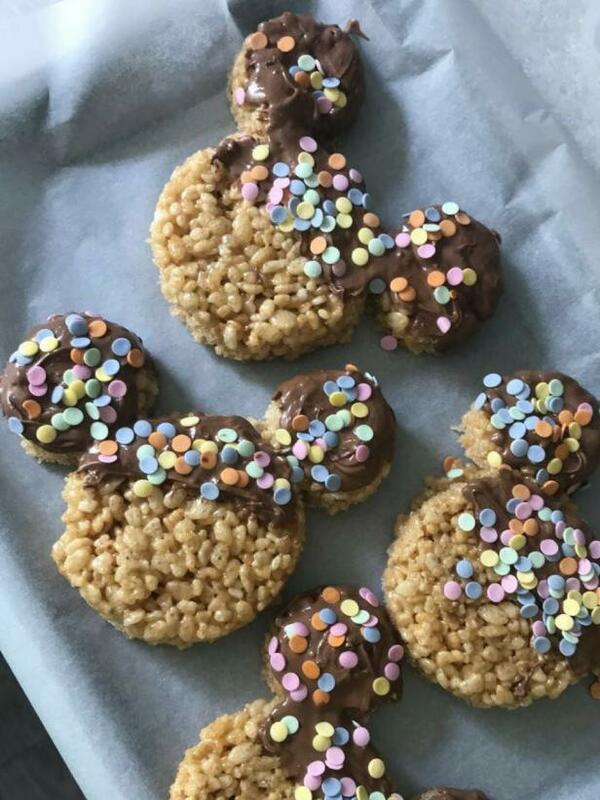 You can find Mickey-shaped rice treats throughout the parks at snack kiosks and quick service counters. And if you're out shopping at Disney Springs, swing by the Candy Cauldron for over-the-top rice treats dipped in chocolate and smothered in candies. 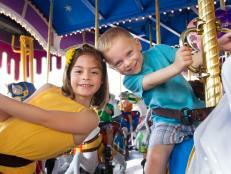 If your little one is a picky eater, head to the Be Our Guest restaurant in the Magic Kingdom. 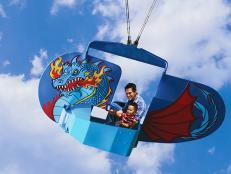 The kids' menu features a low-fat, turkey meatloaf that is sure to please. One of the best things about staying in a villa at Disney is the kitchen. 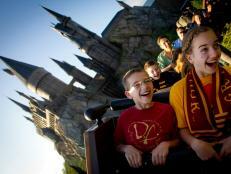 It's nice to escape the theme park crowds and have a private dinner with your family. 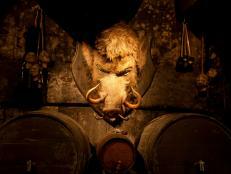 But just because you leave the parks, doesn't mean you can't have a magical meal. 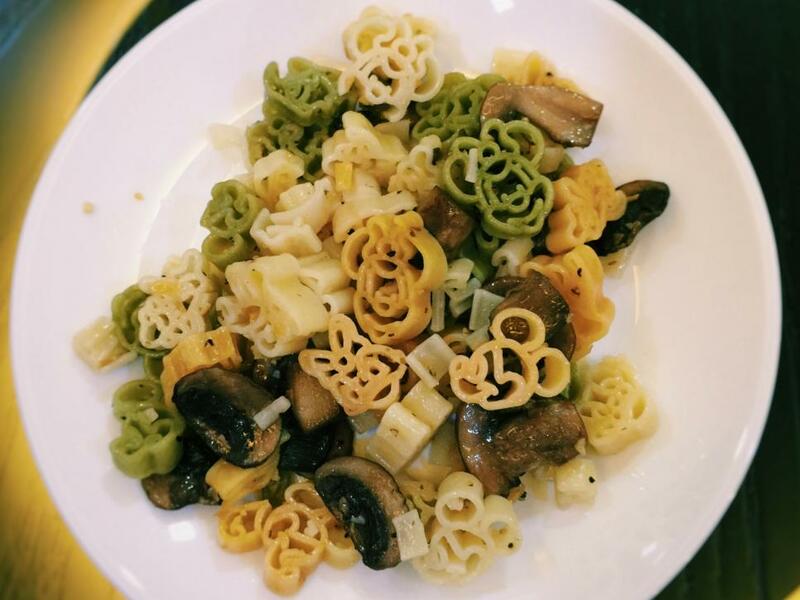 You can find Mickey-shaped pasta in most resort gift shops such as Wilderness Lodge Mercantile at Disney's Fort Wilderness Lodge. These treats are so cute you may not want to eat them. 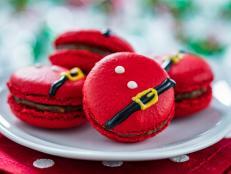 While Mickey-shaped macarons pop up from time to time in the France pavilion at Epcot's World Showcase, you can find them every day at the Jolly Holiday Bakery Café in Disneyland. The Mickey waffle gets a lot of hype but the true iconic Disney snack is the Premium Mickey Bar. There are T-shirts, phone cases and even candles dedicated to this treat. Never had one? 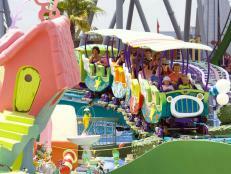 You can find ice cream bars and sandwiches throughout the parks at ice cream kiosks or quick service counters.